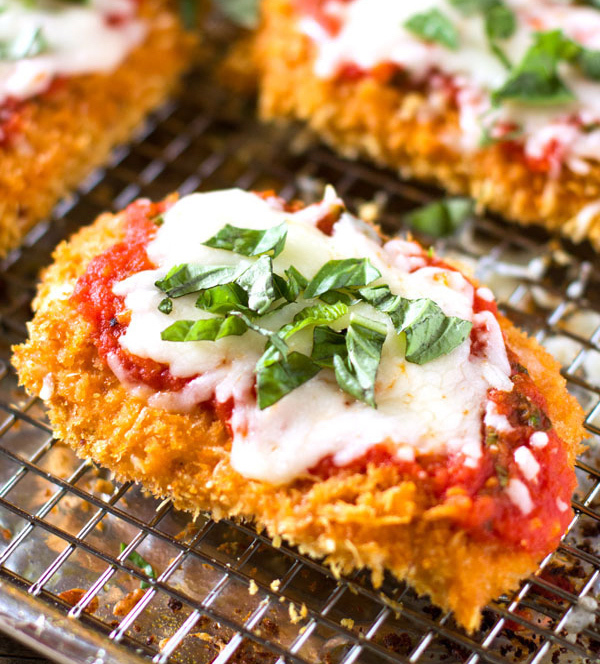 This is an absolutely delicious carb-free recipe for Chicken Parmesan. It would be hard to disappoint even your most picky guest or child with this slight alteration of a beloved classic! While the chicken is cooking you can prepare your tomato sauce (see recipe) if you are not using jarred sauce. After the chicken is cooked add a tablespoon of sauce to each chicken breast and top with a small handful of the mozzarella cheese and a couple pieces of thinly shaved parmesan. Return to the over and cook for an additional 10 min. Serve with Quinoa Pasta, sautéed spinach, or any other vegetable or salad of your choosing.